To Captains all over the HAITACVIET World. 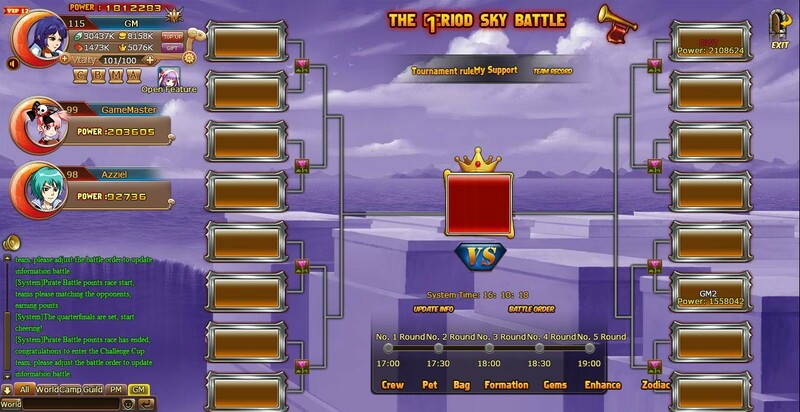 We will held a New Event called Sky Battle. The event will be a 3 on 3 Tournament. 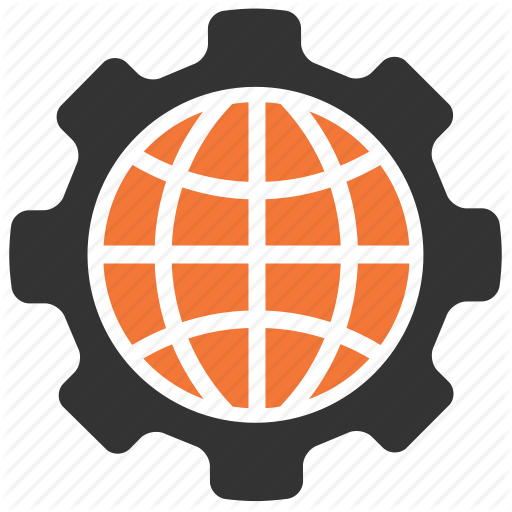 Curious about the system ? Check this out ! 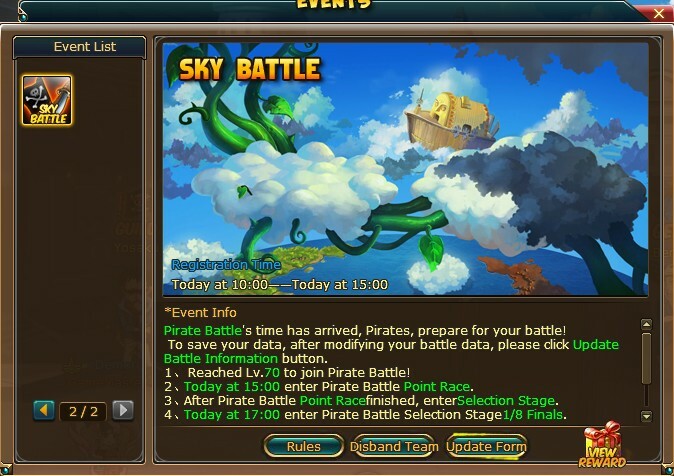 -Captains can look for the icon and register for the event from Event button interface. 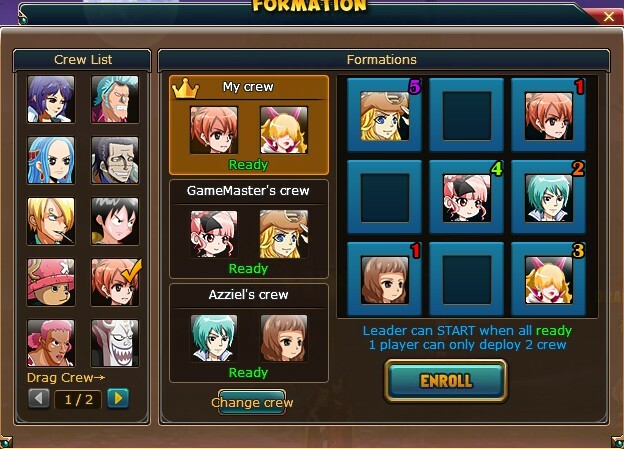 -Captains must create a team like any other Team Battle Interface. -And then all Captains have to wait until the Battle Time starts, but all Captains still can update the power (changing equipment, zodiac, and anything else that affect battle power). 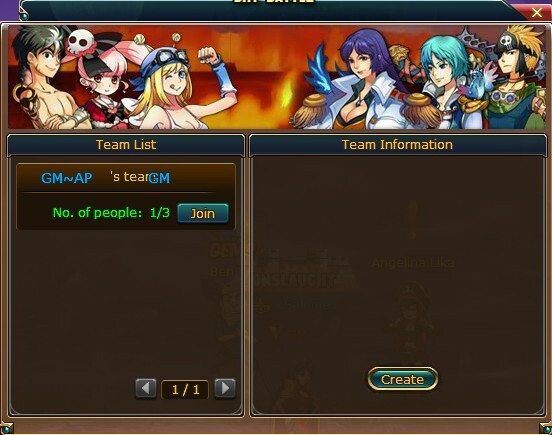 -When the Points Race is start, the Captain of the team must enter the Point Match Interface by clicking this icon or entering via Event Button Interface. 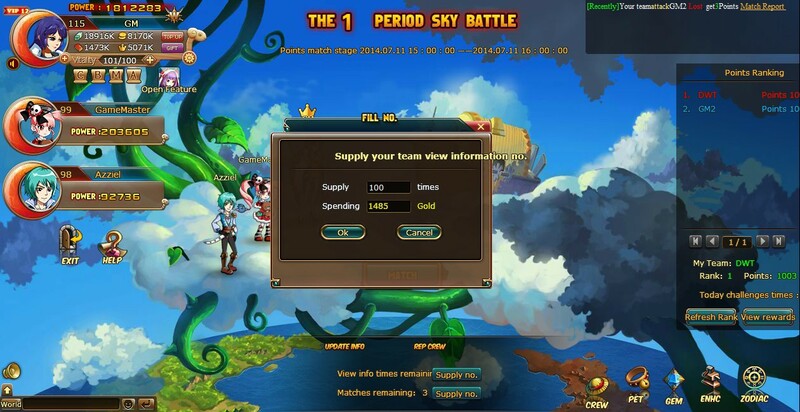 -The Points match will be like Bloody Battle where Captain can edit form, while the other 2 members can edit the equipment for their crews. 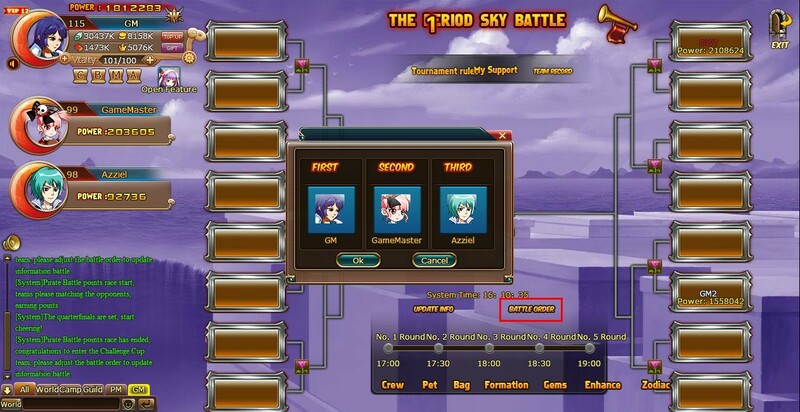 -You can use ‘Information’ button to view your opponent info, and ‘Rematch’ button to refresh/change your opponent. -However you only get 3 free ‘view’ and ‘rematch’ or you can buy additional view and rematch using gold. -You only get 25 Challenge per day. -16 teams with highest point will be the winner of Points Match and advancing to Qualification Tournament. 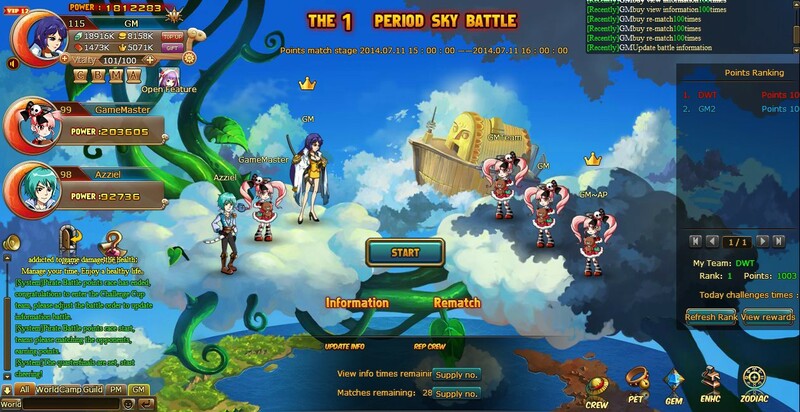 -In this tournament, the battle will be 1 on 1 between 3 person as a team. -The Captain of the team can decide the order of battle. *Note : It is 1 on 1 battle, so even if your first player in the team wins, he will NOT going against the second player on the enemy team. First vs First, Second vs Second, Third vs Third. -Non-Participant in Qualification Tournament can cheer to get berry and fame.